For centuries quality whisky went by one name: Scotch. Some may argue modern bourbon deserves the title, others praise Irish whiskey, yet during the 20th century Scotland's whisky had prestige and pedigree that appeared unbeatable. Its stills were too well engineered, its producers too qualified, and its terrain too perfectly suited to the production of ideal whisky. Like the wine grown and casked on the French countryside, no one could easily imagine a foreigner beating out the distiller's prominent heritage. And yet on May 24th 1976 in Paris eleven judges participated in a blind taste test of 20 wines French and Californian. In both the Red and White wine categories, Californian wines took first place. This was deeply troubling to the wine community, and several judges were criticized for their grades. So the test was repeated in 1978, and then again in 1986 with different judges and the same results. Californian vineyards took home the highest honors when pitted against French wineries of great prestige. Young American upstarts beat out multi-century old vineyards. Whisky shares a similar story. Distillation began in Scotland in 1494 and became an enterprise prominent enough to earn its own tax by 1644. The regions of Scotland are a diverse mosaic of whisky flavors, notes, and hues. Some honey and sweet, others smoky and peaty. For hundreds of years, Scotch went on to sweep whisky competitions. The Spartans of whisky, the Scotsmen had been uniquely cast in the creation of superior distillations. Yet in 2001 for the first time ever a Japanese whisky won Whisky Magazine's top international prize–“Best of the Best”. Suntory, a Japanese brewer and distiller, won gold medals at the International Spirits Challenge every year since 2003. Whisky Magazine's blind taste tests repeatedly awarded Japanese single malts. At the San Francisco World Spirits Competition, at the World Whisky awards in Glasgow, all over the world Japan collected awards beating out Scotland and Ireland and America. Instances where Japanese Whiskies do not take home the highest accolades have become anomalous. In fewer than 20 years, Scotch appears to have been unseated from its throne by a handful of Japanese distilleries. During the 1870s Shinjiro Torii, a pharmaceutical wholesaler, was inspired by the flavor of western liquors. In 1899 he began selling imported wines out of Torii Shoten in Osaka, and by 1907 he made port wine with which he found some monetary success. He remained unsatisfied with just port wine, and so he turned his sights on the creation of a domestic variant of Scotch. In 1923 Torii founded whisky producing company Kotobukiya and opened Japan's first distillery in Yamazaki. 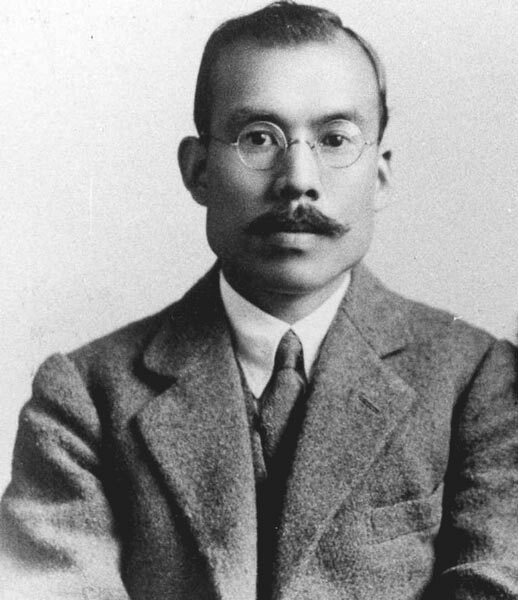 Another man, Masataka Taketsuru, traveled from Japan to Scotland in 1918 to study English and Organic Chemistry at the University of Glasgow. After finishing school, Taketsuru worked in several Scottish distilleries. He began working in Speyside, a small region that encapsulates half of Scotland's distilleries and offers a spectrum of whiskies. He then worked in West Lothian, known for its few distilleries and light fruity single malts, and he moved a third time to Campbeltown, a coastal town that makes briny, peaty whisky. Over the years Taketsuru took detailed notes of the distilling process, and in 1924 he brought his knowledge to Torii's Yamazaki distillery where the two worked together to produce Japan's first commercial whisky, Suntory Whisky Shirofuda. Suntory is today the third largest distillery in the world. By 1934 Taketsuru decided to leave Suntory to start his own distillery in Yoichi, Hokkaido. Originally called Dai Nippon Kaju, the company would later be known as Nikka Whisky Distilling Co., the second most successful distillery in Japan. The father of Japanese whisky, Shinjiro Torii, believed that “good water produces good malts, and a good maturation completely depends on a good natural environment.” Yamazaki's mineral water is particularly famous, four centuries earlier Japan's legendary tea maker Sen no Rikyu built his tea house there. When one takes a tour of Yamazaki today they are first offered a glass of water, as Suntory believes that it is central to appreciating the whisky itself. 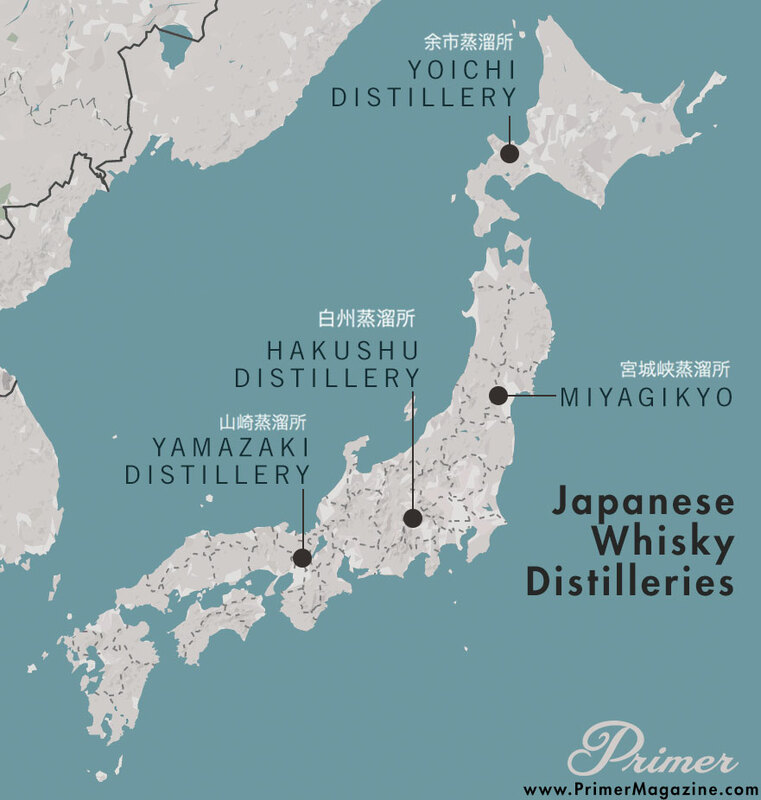 The distillery is located in the hilly temperate forests that border Osaka and Kyoto. Unlike most distilleries around the world, Yamazaki uses copper pot stills of differing shapes and sizes to produce a variety of single malt whiskeys. Since the end of World War II, American White Oak has been the material of choice for cask aging whiskies worldwide. Yamazaki also uses American White Oak, but unlike most distilleries, Yamazaki partially ages their whisky in virgin Mizunara oak. The fragile Mizunara barrels convey a complex aroma and a variety of flavors that helps define their whisky. Yamazaki whisky has won numerous awards, and in 2015 Yamazaki Single Malt Sherry Cask was awarded the title World Whisky of the Year. In 1973, on the Yamazaki Distillery's 50th anniversary, Suntory revealed Hakushu. The Hakushu Forest Distillery is located in a bird sanctuary on Mount Kaikoma in the Japanese Alps, 2,200 feet above sea level. The distillery benefits from fresh air, a cool damp climate, and the mountain's pristine snow-melt water. The goal of the Hakushu distillery is to take advantage of Japan's natural land and forests to develop a clean, sweet, lightly smoky whisky crafted to please a delicate palate. Suntory blenders combine Yamazaki and Hakushu whiskies to form its award-winning blended Hibiki whiskies. Like Yamazaki, Hakushu has won several international gold awards for its 12 Years Old, 18 Years Old, and 25 Years Old whiskies. 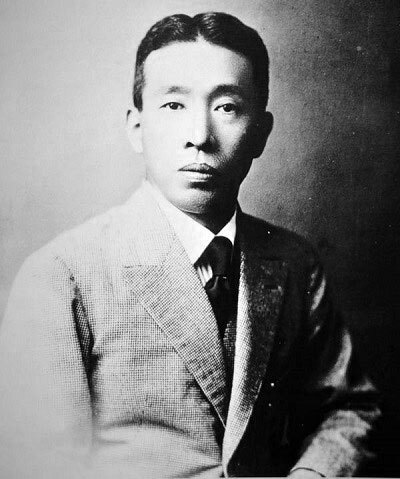 Shinjiro Torii was a man with a vision for domestically produced western style spirits, yet it was Masataka Taketsuru's technical knowledge that made Suntory whiskies possible. Torii wanted to make Japanese whisky for Japanese people, but Taketsuru preferred to make true Scotch for the Japanese. 10 years after working with Torii, Taketsuru saw in snow-covered Hokkaido a climate most similar to Scotland's, and there he opened Japan's second distillery. Not only true to its climate, Taketsuru built his distillery out of stone like some massive isolated Scottish castle. A true scotophile and ultratraditionalist, Taketsuru imported old stills directly from Scotland and used coal fires to heat the stills. The direct heat of powdered natural coal fires burns some of the still's contents, imparting to the whisky smoky, spicy flavors. Yoichi continues to use the difficult coal fire method today, years after Scottish distilleries have given up the practice. Yoichi-produced whiskies have won many top awards from the International Spirits Challenge. Eventually Taketsuru, believing that blended whiskies benefited from multiple climates, warmed to the idea of a modern Japanese whisky. Nikka's abundant success allowed Taketsuru to open a second distillery in 1969 in picturesque Sendai. 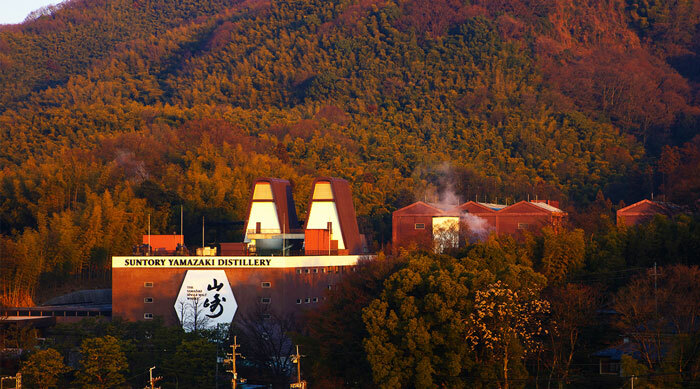 Surrounded by lakes and cherry blossom trees, Miyagikyo distills a softer, more elegant whisky. Ignoring tradition and seeking delicate complexity, Taketsuru's Miyagikyo benefits from innovation provided by computer management and precision tools. Despite these modernizations, Miyagikyo continues Taketsuru's practice of using complex Coffey stills in the creation of their whisky. Due to its focus on innovation and quality, Miyagikyo single malts and several Nikka blends from the Yoichi and Miyagikyo distilleries have won international awards year after year. Suntory and Nikka control the majority of the Japanese whisky market, yet there are several other distilleries that make fine products. The most prominent distillery not owned by Nikka or Suntory is the Chichibu distillery. Founded in 2003, Chichibu is the first Japanese distillery to be introduced since 1973. It uses traditional Scotch whisky production with copper stills. Garnering surprising accolades, Chichibu is the only distillery to produce 3-year single malt whiskies in Japan. Another distillery, Fuji Gotemba, was born of a collaboration between Kirin Brewery, Seagram and Sons, and Chivas Brothers. Fuji Gotemba utilizes total vertical integration, undertaking everything from mashing to bottling at the distillery itself. Unlike Suntory and Nikka, Fuji Gotemba uses the more modern continuous stills. With the exception of its 18-year single malt, all Fuji Gotemba products are blends. Due to harsh economic conditions, many distilleries have had to shutter their doors. The most prominent example of a failed distillery is the Karuizawa distillery in Miyota near Mount Asama. Karuizawa imported barley from Scotland, and aged its whisky in Sherry casks. Karuizawa closed in 2001, and yet the bottles that survive today continue to garner high ratings and awards. In his Karuizawa 1982 review Jim Murray somberly writes “there is nothing else like it in the whisky world, and no other distillery is capable.” Unfortunately Karuizawa whisky is incredibly difficult to obtain. With some bottles selling for tens of thousands of dollars, we mere mortals may have to settle for just descriptions of the Japanese nectar. As demand for Japanese whisky increases, some bottles have become a bit too expensive for most whisky lovers. Nikka offers wonderfully tasteful whisky at acquirable prices. 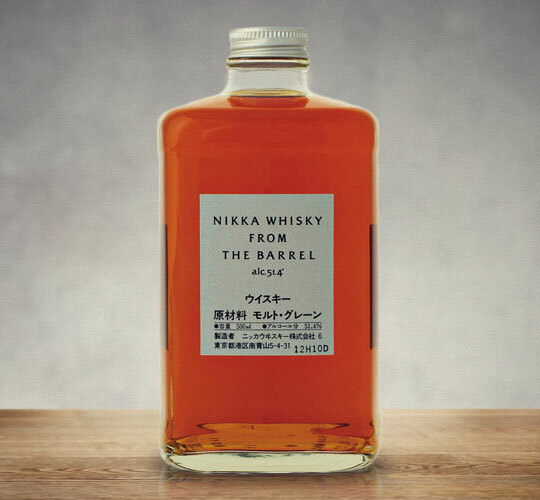 Nikka Whisky From The Barrel promises a cask-strength experience of fruit, oak, and winter spice. 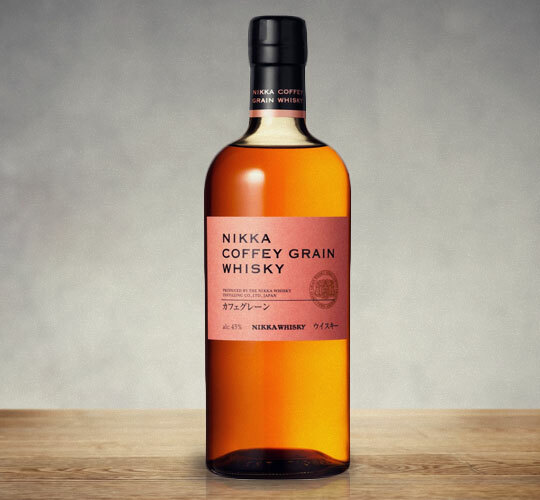 Nikka offers a single-grain whiskey produced from their beautiful Coffey (not coffee) stills. Nikka Coffey Grain Whisky is syrupy and floral, soft and silky, it shares more notes with bourbon than scotch. Another great experience at an attainable price. 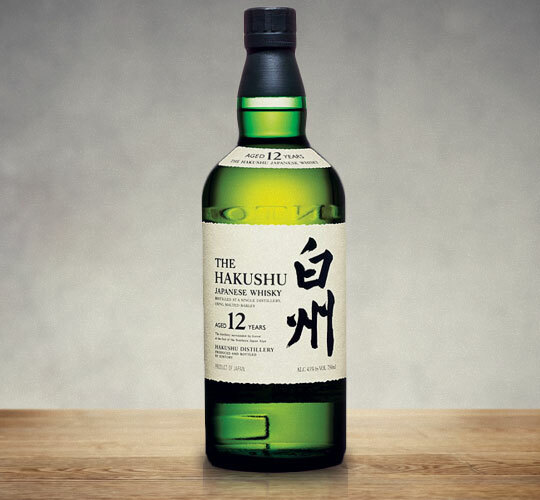 Hakushu, a Suntory single malt, offers a clever and delicious 12-year whisky. The flavor is lightly smoky and fruity without being notably sweet. This is a gentle, subtle blend of flavors. A great second or third bottle to try during your Japanese whisky discovery. Shochu is a Japanese distilled beverage that predates the arrival of whisky on Japan's shores. The Japanese often treat blended whiskies similarly to how they historically treated shochu–mixed with hot or cold water, soda, or juice. For this reason it is wise to splash your blended Japanese whiskies with a bit of water to help develop their flavor. 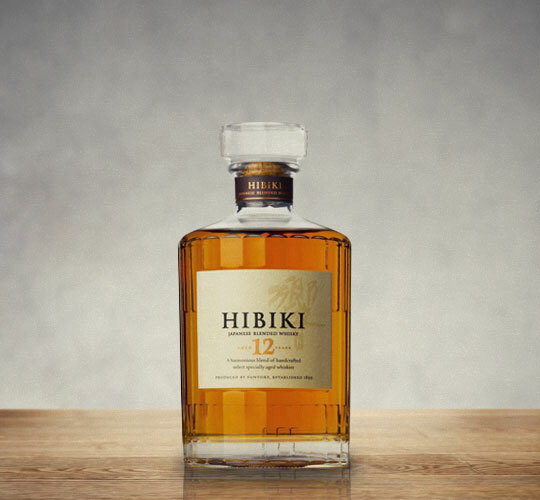 Hibiki is a blend of Yamazaki and Hakushu whiskies, partially aged in plum barrels. Simultaneously sweet and sour, it has a significant combination of fruit notes that stretch from the nose to the finish. 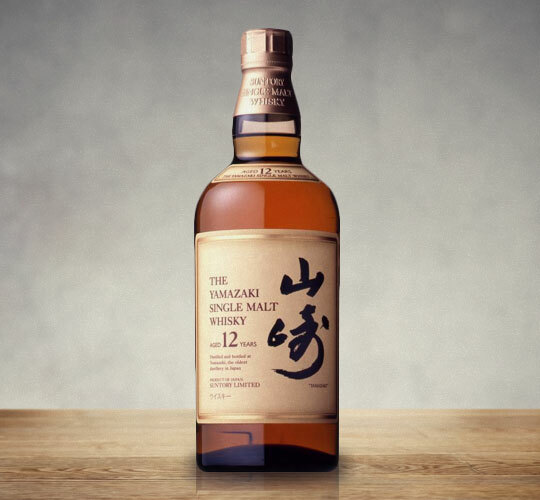 The official starting point of any respectable Japanese whisky collection, Yamazaki's 12 year single malt is my go-to suggestion for true whisky aficionados. This bottle is as dense and enjoyable as Dostoevsky, a new experience every time you return to it. A tender mouthfeel envelops a complex amalgamation of fruit, vanilla, gentle spices, and Japanese oak. Due to its incredible popularity its price increases every year, so get a bottle or two while you can. I dare you not to enjoy this whisky. “For relaxing times, make it Suntory time”. Seriously though, I have yet to try Japanese whisky but I hear good things. Just another thing that they do just as good or better than the west, like Ivy League style. I once tended bar and enjoyed learning everything I could about spirits. That’s been 25+ years ago and I’ve since left that world behind, so I’ve never even heard of Japanese whiskey. In my day, Scotch was widely recognized as the best whiskey, bourbon was cheap stuff Americans would drink and my personal favorite was Irish. I’m surprised by how the prices of Irish whiskey have fallen and by the notoriety that bourbon has since achieved. The strong, sickening smells of cheap bourbon was one of the reasons I stopped tending bar, but I realize they’ve since improved greatly. I was able to visit the Hakushu distillery when I was in Japan. It was amazing sight and definitely worth the 2+ hour trip from Tokyo. While in Scotland (Aberdeen to be exact), I had the pleasure of trying Nikka From The Barrel, Nikka Coffey Grain and Hibiki 12 YO. I was blown away by the quality so much that the Coffey Grain has become one of my favorites. They are truly delicious. I’m in Japan for business at least once a year, and I always bring back a bottle or two of Japanese whisky. I like a softer whiskey, and Nikka’s Taketsuru Pure Malt 17 Years Old is my absolute favorite. However, I’ve yet to try any Japanese whisky that is not remarkable.